Optional Bi-Metal Cutting Bandsaw Blade for the G0640X.Specifications:Length: 131-1/2"Width: 1/2"Type: Bi-metalTPI: 20 - 24 VPGauge: .020"
Optional Bi-Metal Cutting Bandsaw Blade for the G0640X. I use it on my wood/metal vertical. Thin stock steel is a breeze. 2 inch Al-Bronze shaft is kinda slow going, but leaves a decent finish. A couple of facing cuts on my lathe and I'm there. 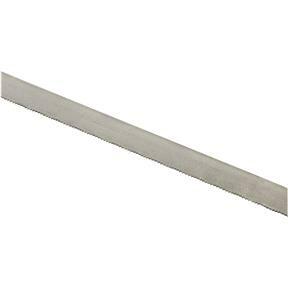 I use this as a general purpose blade to cut tubing and angle iron and on occasion even wood. 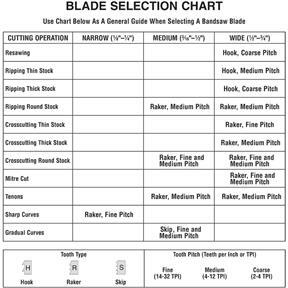 Makes clean cuts and hold up well.